Banners are a beautiful way of delivering loud and clear messages. Print Logistics manufactures and prints banners suited for all different types of industries. 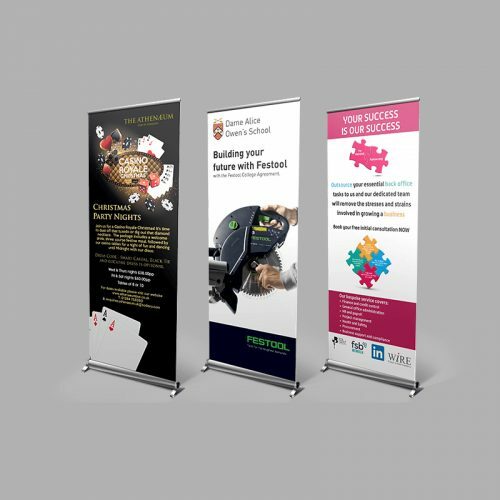 We have a complete range of indoor and outdoor banners ranging from retractable, mesh and vinyl. In our everyday lives, we constantly use Notepads in all shapes and sizes for jotting down those mental reminders on the fly. Draw, sketch and write with your very own corporate branded Notepads where the possibilities are endless. Your businesses stationery deserves a creative flair, so why not make the most of your very own designed Notepads? Available in various sizes, Print Logistics offers its creative & printing services to a whole new level of professionalism.